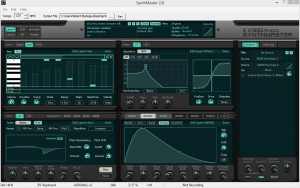 KV331 Audio has updated the software synthesizer SynthMaster (and its player version SynthMaster Player) to version 2.8. 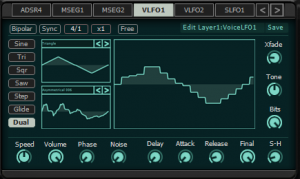 This update brings major improvements for the filters, modulation matrix workflow, layer effects layout, envelopes, LFOs and the arpeggiator/sequencer. 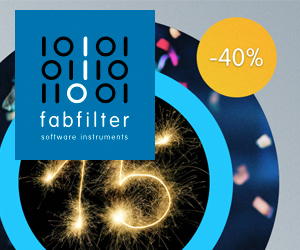 4 New zero delay feedback filter categories: Ladder, Diode Ladder, Bite and State Variable filters are all based on "zero delay feedback" (ZDF) topology. All the new filter categories also feature an Acid button. When turned on, this couples the resonance to the cutoff frequency so that resonance decreases with decreasing cutoff frequency. 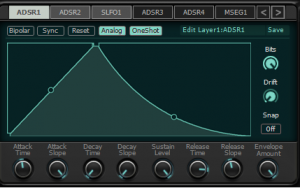 Analog ADSR envelope type: This new envelope type is modeled after a well known analog synth's envelopes. The attack/decay durations are between 1 ms - 9 seconds. 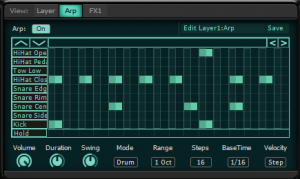 Dual LFO type: In this new LFO type, a variable LFO shape can be created by crossfading two user selectable waveforms. It's basically similar to a wavetable oscillator. 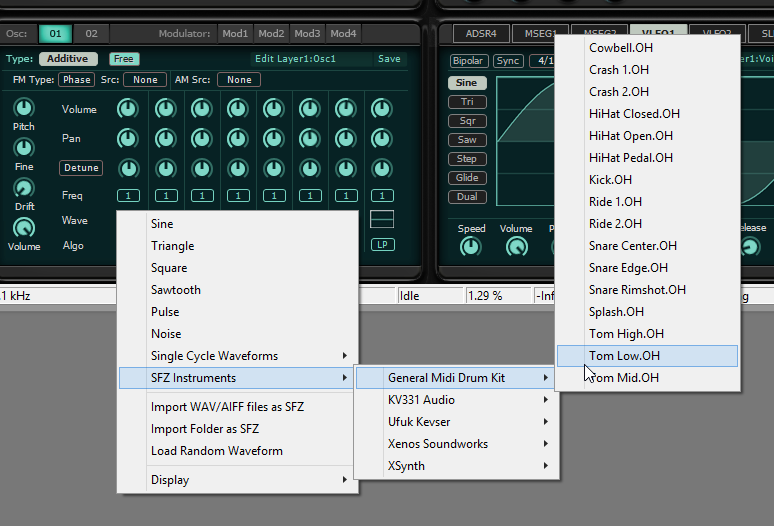 There's also bitcrush and sample&hold available in this mode. Drag-n-drop modulation assignment: Modulation matrix entries can now be created by dragging a modulation source displayed on the new modulation sources tab and dragging it onto any knob on the user interface. Smart modulation matrix filtering: When the user clicks on any knob, the modulation matrix is filtered to show only entries for that target. 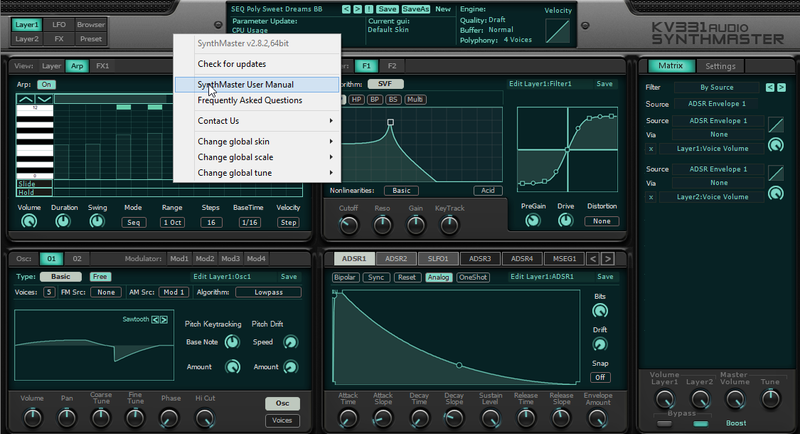 Similarly, when the user clicks on any modulation source on the new modulation sources tab, only targets for that source are displayed and modulation amounts for targets are drawn as rings around the knobs. Layer Effects on a single tab: Prior to v2.8, layer effects were scattered in 3 different tabs. Now in v2.8, they are displayed on a single tab in the order they are inserted. 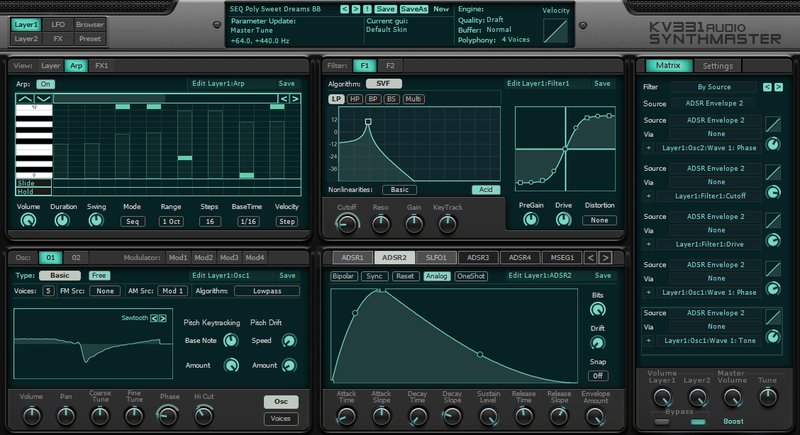 The ordering of the insert effects can be easily changed by dragging an insert effect and dropping it onto another one. Multidimensional Polyphonic Expression (MPE) support: Starting with v2.8, SynthMaster now supports multichannel MIDI input. New generation keyboard like the ROLI Seaboard generate MIDI messages in different MIDI channels for each key pressed, allowing each key to have separate modwheel, pitch bend, etc. values. To support ROLI further, KV331 Audio also added a new global parameter called "Map CC74 to CC1" so that the CC74 messages generated by ROLI Seaboard can be translated to CC1 to take advantage of existing presets using CC1 modulation. 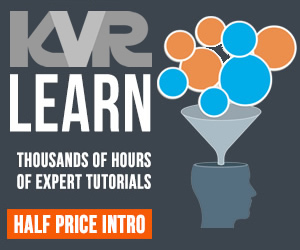 New Drum Kit: KV331 Audio's first factory drum kit, recorded at Mars Recording Studios by Mehmet Uğur Memiş and Atalay Ant is also available in this update. 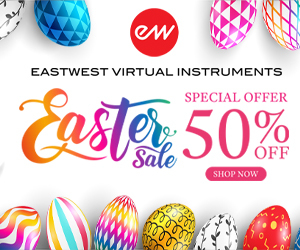 The drum kit features percussion instruments with multiple velocity regions. KV331 Audio's product manager Gerçek Dorman (who also happens to be a multi-percussionist.) 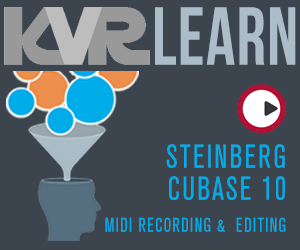 created 50 drum patterns/presets as factory presets in this update. 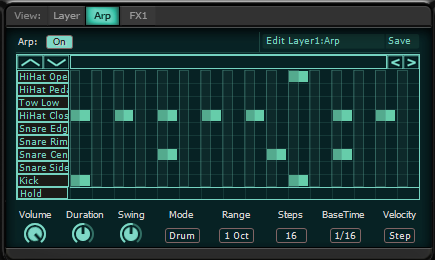 Drum Kit mode for the Arpeggiator: A new arpeggiator mode called Drum Kit has been added to the arpeggiator in this update. In this mode, drum patterns can be easily written for a selected drum kit. Drum kit definitions can be created in plain text files, where percussion instruments are mapped to specific MIDI notes. 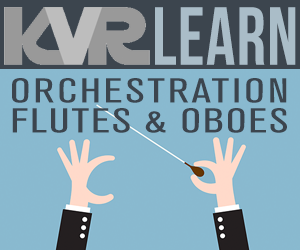 Each drum kit can have up to 16 percussion instruments defined. Recording sequences directly from MIDI:Starting with version 2.8, now it's possible to record mono or poly (chord) sequences into the arpeggiator in Sequence mode. 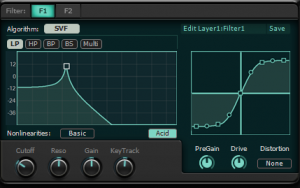 New Factory Presets: KV331 Audio added 150 new factory presets in this update. 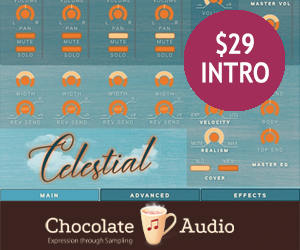 Arksun, who is a well known sound designer, has contributed to SynthMaster factory library with 50 presets. 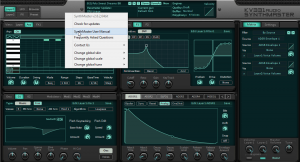 Standalone Format: SynthMaster and SynthMaster Player are now available as standalone applications on Windows. 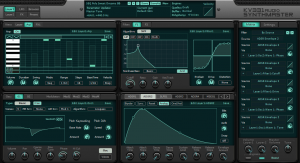 The standalone applications support ASIO and recording output of the synth to a wave file. Loading preset metadata from xml file might crash SynthMaster. 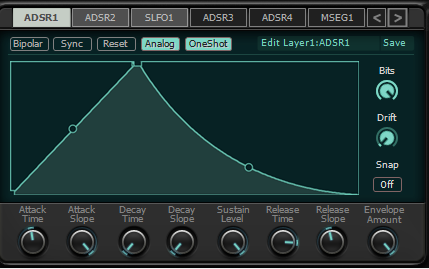 SynthMaster incorrectly categorizes waveforms with '.' in their names as multi samples. FavouritePresets.txt file might crash SynthMaster. Waveform cache files are not saved correctly causing silenced waveforms. Reading invalid wave files crash SynthMaster. 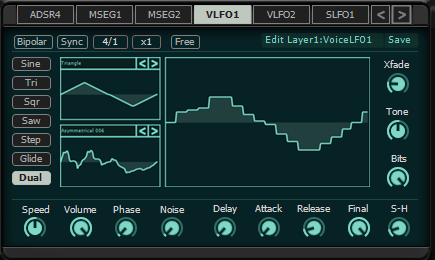 MIDI Velocity modulation doesn't work for Voice LFOs. When envelopes are synced to tempo, their timings are incorrect when engine quality is greater than 'draft'. Distortion curves display invalid values. 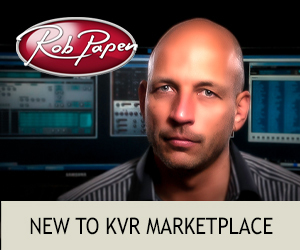 For registered users, version 2.8 is a free update and can be downloaded at KV331 Audio's user downloads page. 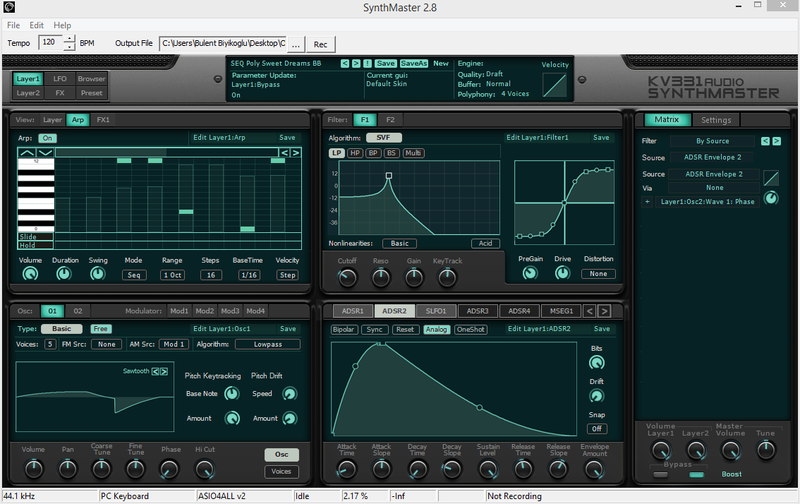 Demo and free player versions of SynthMaster 2.8 are also available for download at KV331 Audio's downloads page. The player (don't know for the full synth) v.2.8.2 was very buggy, and even unusable (settings unsaved), at least under Reaper. Many problems and time lost. V.2.8.3 update fixed the last buggs.... after deleting manually several files and reinstall 2.8.3). A strange missed from KV331, but perhaps only Reaper users were concerned ? 2.8 will not show up as a VSTi Instrument in Reaper for me. Where can I download the old 2.7 installer? I need it badly. Thank you. Seriously, still no resizable GUI??? Sorry Guys, but the handling of the GUI is just insufferable by the small size. I own SynthMaster with all the Expansions since one year, but the annoying handling of the "Micro"-GUI make it for me to "dusted Plugin" somewhere on my HDD. Nowadays resizable GUI are NOT a Feature, it's a matter of course, everything else are just a sad joke. The "Best Synth" shouldn't have those problems. After purchasing the full version (with 25%off-coupon), the plugin works fine. Just the demo is corrupted. In Bitwig Studio no crashes so far. I noticed some glitches when maxing out the reverb of KV331. 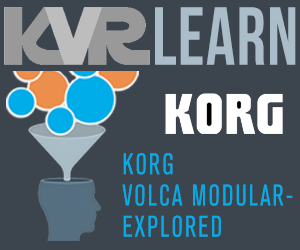 These problems and the attitude of KV331 are not glorious! Synthmaster is not the "Best synth", even if KVR and some others made so much hype about it. What I don't like in this synth is that it has multisynthesis, with sample import, but most of the presets and extra sound banks are devoted to electro music (EDM...). I expected a new Alchemy. I got another Massive. For EDM, it sounds pretty good. For me, Synthmaster Version 2.8 with Windows 7 x64-bit and Ableton Live 9.6.1 doesn't work. The plugin crashes Ableton Live after popping up the GUI. 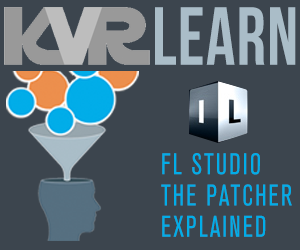 I did a full uninstall, deleted the Documents\Synthmaster folder, deleted the Program Files\VSTPlugins\Kvr331 folder, deleted the Program Files (x86)\VSTPlugins\Kvr331 folder. Then installed the full version of the program (not the update). CRASH. When is the "Best Synth" gonna work LOL? Try to install the 64-bit version to your 64-bit programs - not to x86.